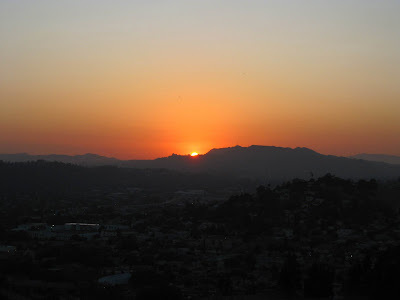 Every year around the month of July, the sun sets between the Griffith Observatory and the Hollywood sign. During this time, I try to make the trek out to flat top for the sunset as many times as I can. Unfortunately because of work and vacation, I only made it a couple of times this year. 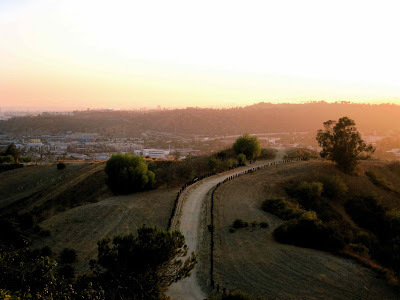 I love to imagine the old Montecito Heights locals, 5,000 years ago, using the sun setting over the mountains as the basis for their calendar. 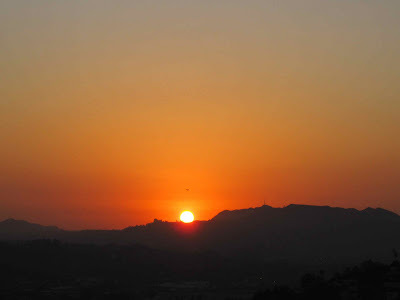 The Fall and Spring, the sun sets over Elysian Park and the Santa Monica mountains. The Winter, it sets over Dodger Stadium. Months and moods were set by this I am sure of it. Echo and the Bunnymen "Over the Wall"
I've just been scrolling through here and enjoying all this. Thanks for commenting on my blog. Best thing about that is I got to click and find yours. Beautiful series of photographs. Yes it is a pity summer is winding down!